The entrepreneurial spirit at WPI brings many success stories to fruition. Whether faculty members, students, or staff start a successful company, learn how to think like an entrepreneur for success in industry, or perform groundbreaking research, they are the reason innovation thrives in the WPI community. Panagiotis Argyrakis gives big props to The Tech Entrepreneurs at WPI for their help in getting his smart home lighting startup, Luminoid, off the ground. Read more about Luminoid and what makes it different. A new app being developed at WPI can detect a wobbly gait over a balanced one and alert users if they've had too much to drink. 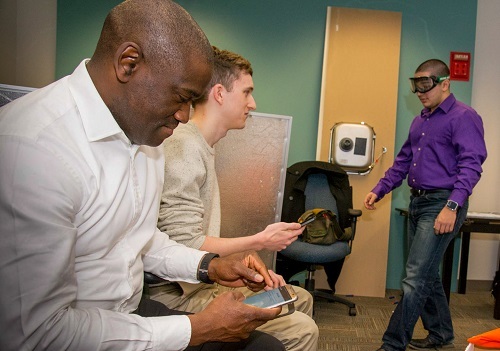 Hoping to help people make better choices before they get behind the wheel, the "AlcoGait," developed by Emmanuel Agu, PhD, associate professor of computer science, is one of several smartphone-based phone apps Agu and his team are developing to help people make better health choices and decisions. 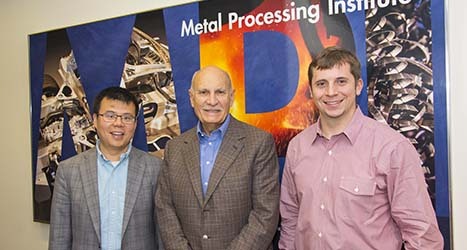 Battery Resourcers, a startup that formed at WPI, is transforming the process for recycling lithium-ion batteries. Learn more about how they got started and their continuing success. With many years of rowing experience, Daniel Shrives '20 knows the slightest changes can improve a team's performance and timing. He's developing a modified oarlock that is not only less expensive than current market products, but that collects rowers' performance metrics to boost racing outcomes. 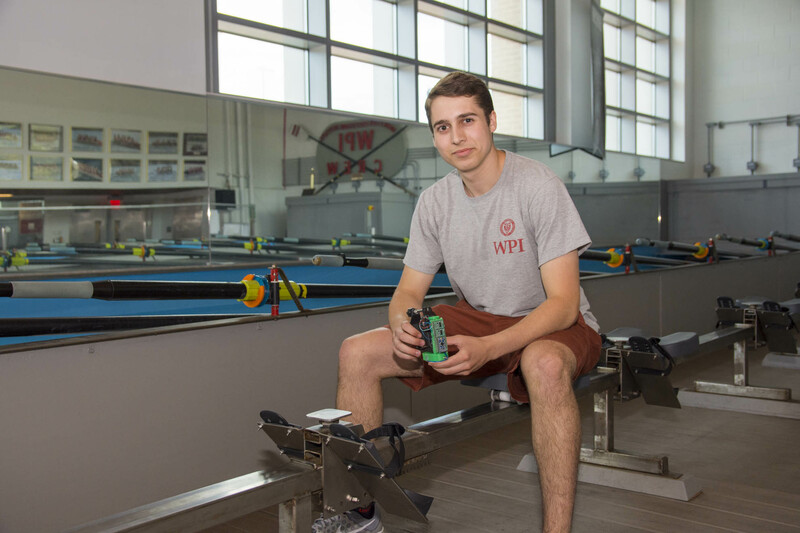 In their first year at WPI, Daniel and his teammate Grayson Baum won WPI's prestigious Strage Innovation Award based on the developing prototype of Shrives's rowing telemetry system, giving him the support and the encouragement to try what's never been done. Daniel Shrives '20 looks to make an improved rowing oarlock that's less expensive and more accurate than current products.